Noted writer and linguist Lafcadio Hearn’s 1910 English translation of the ancient Japanese ghost tale, The Goblin Spider, transports children of all ages to an exotic world of samurai warriors, haunted temples, and monstrous goblin spiders. 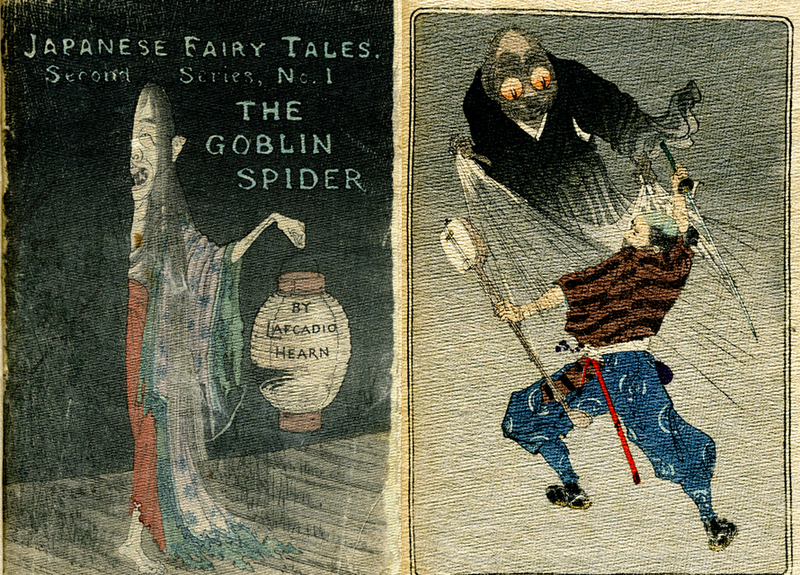 According to the tale, there used to be many goblin spiders in Japan. During the day, they looked just like common spiders—but late at night, they transformed into huge spiders with bulging eyes and menacing pincers. Capable of terrible things, these monstrous arachnids also had the magical power of taking human shape. 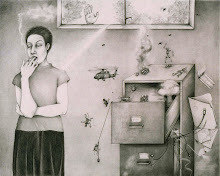 Sadly, no credit given for the illustrator.